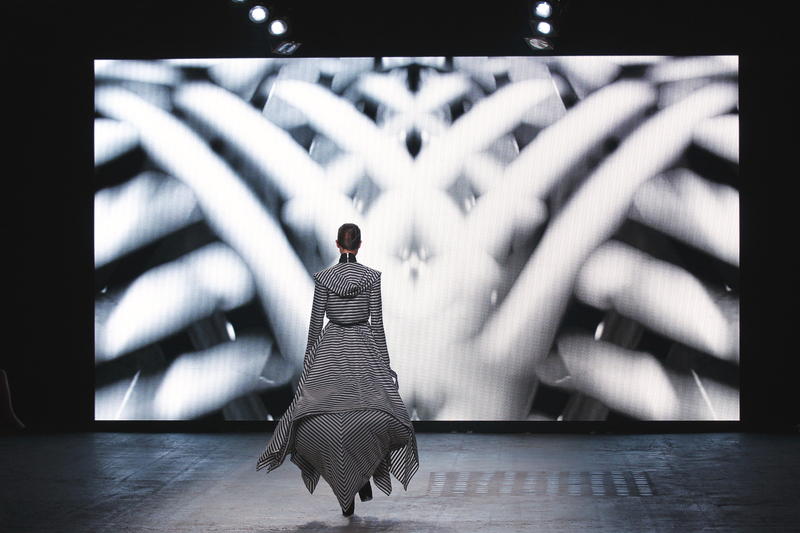 The fashion world is always exploring new channels to effectively capture and articulate artistic visions, and digital film is an avenue often sought out by industry insiders. The British Fashion Council's Fashion Film initiative, which supports designers wishing to use film for their up and coming collections, has just announced its recipients for AW 15. Gareth Pugh, House Of Holland, and Jean Pierre Braganza will all be provided with funding, showcasing, and distribution opportunities for shorts that will be screened at London Fashion Week later this month. These designers are some of London's most notable. Pugh, who is returning to LFW for the first time in 7 years is known for his displays of fashion as performance, having swapped the catwalk for a short film before. House of Holland has gained a lot of notoriety in recent years for its bright, bold and playful designs; and Braganza, who is known for his high-end streetwear and urban accessories, will be teaming up with River Island (the initiative's sponsor) for his film — using Google Cardboard as a new form of software that will allow guests at the screening to experience the film through a virtual reality headset that can be downloaded by smartphone. The initiative has helped facilitate exciting immersive experiences in the past, holding screenings for a wide variety of brands, such as: Kenzo, Mulberry, Victoria Beckham, Richard Nicoll, Leutton Postle, and Emilio De La Morena. We look forward to seeing what Gareth Pugh, House Of Holland, and Jean Pierre Braganza have in store for the upcoming LFW screening!